We offer a range of hot screed applied skid resistant surface treatment consisting of a coloured polymer modified thermoplastic resin incorporating high PSV aggregates and mineral extender. We can offer a range of high friction thermoplastic surface treatments, designed for use with specially selected high PSV aggregates. They can be supplied in Red, Green, Buff or Grey coloured surfaces, although other colours are available on request. 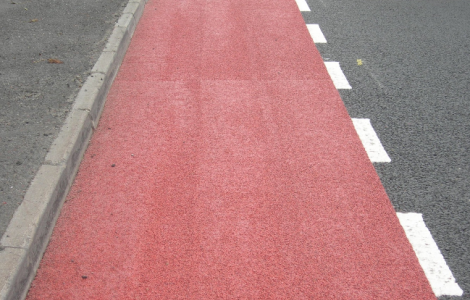 Thermoplastic based systems are less weather sensitive than epoxy based systems and can therefore be applied all year round on new and worn surfaces. Ready to traffic after 20 minutes. It can be readily applied to all asphalt surfaces and can also be used on concrete surfaces after preparation with a suitable primer. 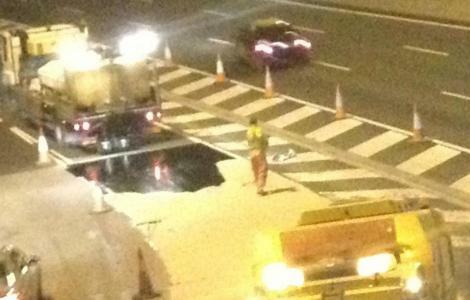 Hot applied thermoplastic anti-skid materials are applied using a hand held screed box. They are applied at a temperature of 190oC. 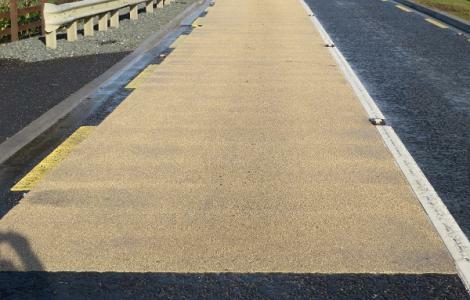 A range of products is available to suit light to heavily trafficked roads. 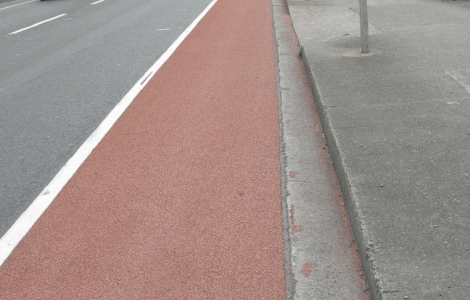 Coloured surfacing increases visual warnings for road users.